Being a leading enterprise of this industry, we are offering a huge range of CA Burn Cream. 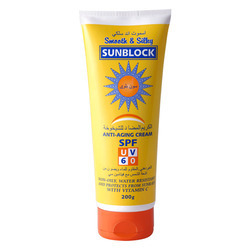 - rating provides superior sun protection and prevents future signs of sun damage and signs of skin aging. Siroy Sun Screen in 100 ml and 50ml pure herbal made. Banana boat sport very high protection sunscreen. We Cosmic International are a reputed manufacturer, supplier and exporter of world-class Sun Protection Cream, Cosmetics and Perfumes. Inclusive of Skin Care Creams, Hand & Body Lotions and Face & Body Scrubs, we offer optimum quality Skin Care Products. Combining modern science with natural ingredients, this effective sunscreen helps to soothe, lubricate, moisturize and protect the skin against sun damage with SPF 30. Acne-n-Pimple Cream designed and formulated by rajeshkumar PVT LTD as ISO 9001:2008 certified company, treats pimples and skin eruptions, heals infection while keeping the skin soft and smooth. 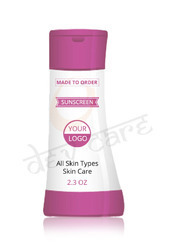 We are the trader of Sun Screen Creams that is formulated to protect the skin from harmful sun ray and helps the skin to retain its natural moisture, preventing damage from uva and uvb rays.